Today, I am excited because I have a guest post from Alicia Steel, a featured publisher of Loveawake.com. She is a recognized expert on love, marriage, and relationships and she is amazing. I hope you learn more and enjoy the reading as much as we did! I’ve been hearing from a lot of from women, lately, about their disappointment with the men in their lives. It saddens me that in 2017, so many women have minimal respect for men. Men aren’t totally at fault, though. Mothers often teach their sons to be good boys but not good partners, and women too often talk themselves into tolerating unacceptable behavior from men, resulting in feelings of frustration and resentment. The first is: Pay attention. Listen to what a woman is saying to you. If you’re not sure what she means, ask. She’s sharing her deepest needs and feelings with you, and your response matters. It also helps to notice and compliment her new haircut or her most recent accomplishment, as these things help her feel seen and validated. One notable exception is being too focused on her weight, even in a positive way. The second is: Follow through. Do what you said you were going to do, when you said you’d do it. If you promised to call “at the end of the weekend,” that doesn’t mean Tuesday morning. If you said you’d take care of certain chores, do them in a timely manner. Every time you procrastinate to the point of forcing a woman to nag you, she’ll respect you a little bit less. On the other hand, each demonstration of integrity and consistency increases her esteem for you. The third is: Love her inner beauty (at least) as much as her appearance. She wants to know that aside from finding her attractive, you value her intelligence, warm heart, good character and particular talents. She’ll lose respect for you if she starts to feel that you value her looks over who she really is. The fourth is: Go easy on the boyish charm. A grown woman wants an equal partner, not a little boy. If you’re irresponsible or impulsive; if you whine, wheedle or sulk; if you’re passive-aggressive or just plain passive, you’re going to lose respect. Your mother may have spoiled you rotten, but it’s time to show the woman in your life that you’re capable of being a grown man. The fifth is: Help out at home. The way to a man’s heart may be his stomach, but the way to a woman’s heart could very well be the vacuum cleaner or the washing machine. If you want to be respected, show the woman in your life some respect by participating equally in the household tasks. The sixth is: Be kind to her loved ones. You can shower the woman in your life with love and affection, but if you’re rude to the people (and animals) who matter most to her, she’ll lose respect for you. A woman is a package deal. You don’t have to love her friends, family or pets, but you have to treat them properly. 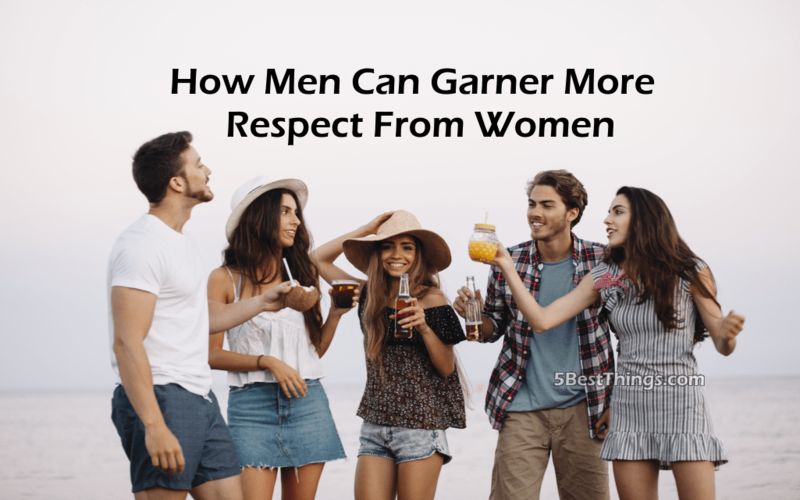 A woman might love and desire you, but if you want to make her happy and bring out the very best in her, get going on this list and start to earn more of her respect.